Part of the San Lorenzo complex and tucked behind its main church, the Medici Chapel is the burial place of many of Florence’s powerful rulers. 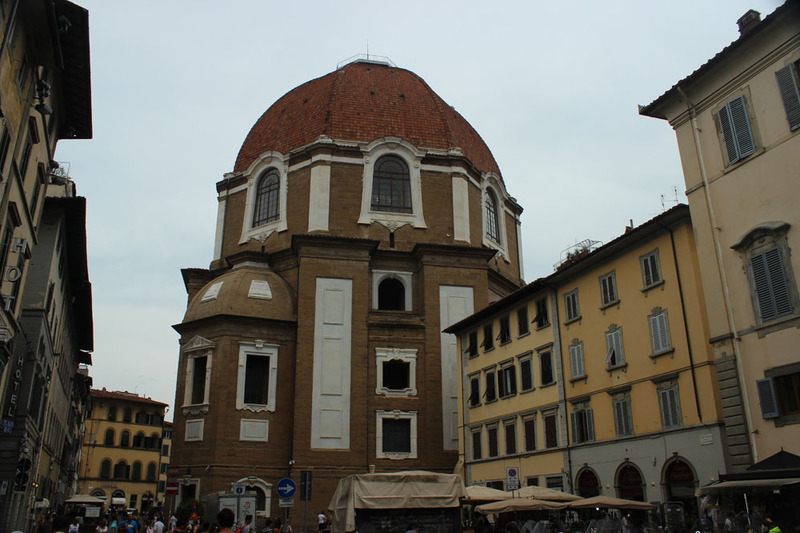 An octagonal chapel with an opulent interior, it was designed by Michelangelo and work began on it in 1519. The SagrestiaNuova (New Sacristy) was finished by Vasari and is a tasteful monument to Lorenzo the Magnificent and his generation of relatively pleasant Medici, containing Michelangelo’s famous marble figures ofNight and Day, and Dawn and Duskatop thetombs. Work began by Buontalention the Cappella deiPrincipi (Chapel of the Princes) in 1604, a lurid exercise in questionable taste smothered in brown marble and semi-precious stones where the more unscrupulous of the Medici dynasty are buried, including Cosimo I and GianGastone, who drank himself to death in 1737. Built by Michelozzo in 1444 for Cosimo de’ Medici il Vecchio, this rather austere palace became the model on which several later ducal residences were built, including the Strozzi and Pitti palaces. It remained the Medicis’ private home until Cosimo I moved across the River Arno to the imposing Palazzo Pitti in 1549. The principal reason for visiting Palazzo Medici-Riccardi is the delightful Cappella dei Magi, covered in jewel-like frescoes by Benozzo Gozzoli. His exceptional Procession of the Magi (1459) fills the tiny chapel from floor to ceiling. Almost as impressive is the palace’s first-floor Galleria, with lively ceiling frescoes by Luca Giordano, dating from 1683–85 during the Baroque overhaul of the palace when the wealthy banking Riccardi family bought the palace from the Medicis. This gallery contains the most wonderful collection of Renaissance paintings in the world. Make it a priority! Unfortunately every other visitor to Florence feels the same, so expect to wait in line or book online well in advance. Housed in the ex-headquarters of Cosimo de’ Medici’s court, this dour edifice was designed by art critic Giorgio Vasari in the mid 1500s. The 50 or so rooms roughly follow chronological order, with highlights including the three altarpieces by Giotto, Cimabue, and Duccio in Room 2, Piero della Francesca’s fabulous Duke and Duchess of Urbino in Room 7, and the Botticellis in Rooms 10-14; here the crowds throng to see his masterpieces The Adoration of the Magi (1476), La Primavera (1478), and The Birth of Venus. Don’t miss Leonardo’s Adoration of the Magi, Giotto’s Ognissanti Madonna, the Raphaels and Titian’s Venus of Urbino. Save energy for the Caravaggio Room (and his demonic Bacchus) on the second floor and the Contini-Bonacossi Collection, housed within the Uffizi but accessed via a different entrance on Via Lambertesca. This gallery houses treasures by gloomy Spanish masters Velasquez, Goya, and El Greco. The Vasari Corridor, connecting to the Palazzo Pitti, is hung with self-portraits of famous artists. Either book ahead online or by phone to [tel] +39 055 294883 (incurs a small booking fee of €4) or a couple of days in advance at the Uffizi ticket office or at Palazzo Pitti. Experience the power, palaces and arts patronage of Florence’s medieval Medici rulers on this half-day Palazzo Vecchio and Vasari Corridor walking tour. With an expert guide, explore the grandiose Palazzo Vecchio, Florence’s civic hub and once residence to the first Medici ruler, Cosimo I, including its spectacular, fresco-coated Hall of the Five Hundred. Then, admire the art-laden Vasari Corridor, the passageway built for the Medicis in 1564. Upgrade to include an afternoon visit to the Medicis' Pitti Palace, and explore its magnificent Palatine Gallery, home to paintings by Raphael, Titian and more. Book your selected tour and then start your experience when you meet your guide in the morning at Florence's Piazza della Signoria. Half-Day Tour (3.5 Hours)With your guide, stroll to Palazzo Vecchio, the fortress-like palace that has been the hub of Florentine civic power for seven centuries, and which still houses the city council. 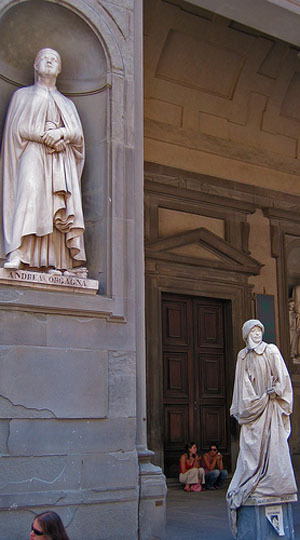 Get insights about how the palace became home to Cosimo I de’ Medici, the first of Florence’s Medici rulers, in 1540. 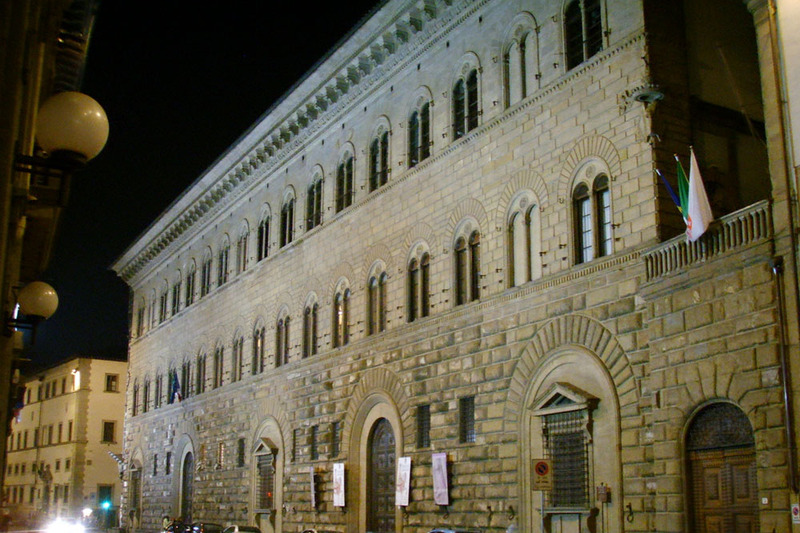 Ask any questions you wish, and as you admire the crenellated exterior, learn how the wealthy Medici banking family rose to power in the 15th century, coming to rule Florence from behind the scenes and acting as patrons of the arts. With your guide putting everything in historical context, explore the palace’s Monumental Rooms, home to rich frescoes, statues and paintings. Among other highlights, see Dante’s mask — featured in Dan Brown’s novel, Inferno — and the majestic Hall of the Five Hundred, with its vast battle frescoes by Giorgio Vasari. 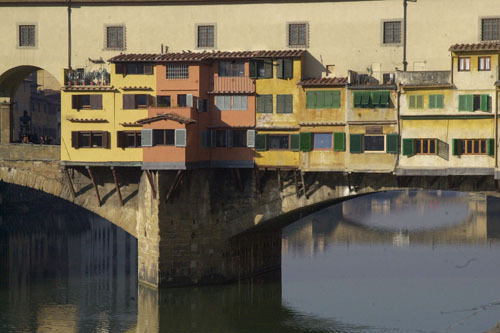 Next, head for the Vasari Corridor, the enclosed skywalk linking the Palazzo Vecchio and Pitti Palace (Palazzo Pitti) that was designed by Vasari for Cosimo in 1564 so he and his family could move discreetly around the city. View the stunning self-portraits that fill the corridor and ogle the views over the Arno River as you walk. After roughly an hour in the corridor, leave at the Boboli Gardens, and view the 16th-century Buontalenti Grotto before ending your tour in the nearby Piazza Pitti. Full-Day Tour (5.5 Hours)After your morning tour as described, enjoy free time for lunch (own expense) and then rejoin your guide at the Pitti Palace (Palazzo Pitti). Go inside and hear how Cosimo I swapped the Palazzo Vecchio for this larger, opulent residence in 1562. Hear how the Medicis used it to house their art, with many works now in its Palatine Gallery. Work through the rooms to see masterpieces by Caravaggio, Raphael, Titian and Rubens and other greats; and check out the myriad of frescoes, stucco works and furnishings on route. After two hours in the gallery, your guide will depart, leaving you to continue exploring and leave as you wish. Explore Florenceâ€™s semi-secret Vasari Corridor and Boboli Gardens on this skip-the-line combo. Get priority access to the Vasari Corridor and enjoy a guided 1-hour tour of the magnificent, art-rich passageway, built for the Medicis in 1564. See the stunning artworks, learn about the corridorâ€™s often-clandestine history and enjoy its hidden views over the Arno River from the Ponte Vecchio. Upgrade to include skip-the-line admission to the Boboli Gardens and stroll independently around the tranquil avenues and lawns sprinkled with grand statues, fountains and monuments. Meet your guide at the Palazzo Vecchio in central Florence and walk to the nearby Uffizi Gallery. With your skip-the-line ticket, bypass the main entrance lines and enter the museum to visit the Vasari Corridor. Follow your guide to the Vasari entrance and hear how this elevated royal passageway was created by Giorgio Vasari in 1564 to enable Florenceâ€™s first Medici ruler, Cosimo I deâ€™ Medici, to walk unseen between the Pitti Palace (Palazzo Pitti) and Palazzo Vecchio. Step inside and walk along the art-laden corridor as it skirts the Arno River and snakes over the Ponte Vecchio. As you stroll, hear how, during the passagewayâ€™s construction, butchersâ€™ shops on the bridge were ordered to relocate to prevent bad smells from emanating into the corridor. Admire the 17th- and 18th-century paintings, including portraits by such greats as Rubens, Rembrandt and Velazquez. Soak up the hushed ambience and catch tantalizing glimpses of the Arno and the cityâ€™s piazzas through the circular windows â€” views that many in Florence never see. After an hour, leave the Vasari at the exit in the Boboli Gardens, adjoining the Pitti Palace. Your tour ends here when you say goodbye to your guide. After your Vasari Corridor guided tour, enjoy free time for lunch (own expense) and in the mid-afternoon, use your skip-the-line ticket to enter the Boboli Gardens. Rising behind the Pitti Palace, the exquisite gardens date from the 15th century and were enlarged by the Medicis to an Italianate design that inspired other famous European gardens, including Versailles. Enjoy the freedom to explore the gardens at leisure. Admire the stunning plants, fountains and sculptures â€” some from Roman timesâ€” that pepper the grounds, and stroll around the grand monuments, including the sunken amphitheater and 18th-century follies such as the Kaffehaus and Buontalenti Grotto. After absorbing the tranquil gardens, leave when you wish before the gardens close. Your experience ends when you depart via any of the exits. The church of Santa Maria del Carmine was almost destroyed by fire in 1771 and was re-built shortly afterwards. Miraculously, the Cappella Brancacci in the south transept survived the fire and with it, one of the most important fresco-cycles in Florentine art. The Life of St Peter was painted by three great Renaissance artists; Masolino began the work in 1425, his pupil Masaccio took up where he left off, and Filippino Lippi finished the fresco scenes 50 years later. Covering three walls of the chapel, the 12-fresco cycle was restored in the 1980s and is vividly bright today, with St Peter conspicuous by his orange cloak. Masolino’s work on the upper section of the left-hand wall is rigid and formal, with figures showing little emotion and virtually no interconnection. The later works, however, are famous for their use of new rules of perspective and light and shade effects (chiaroscuro). 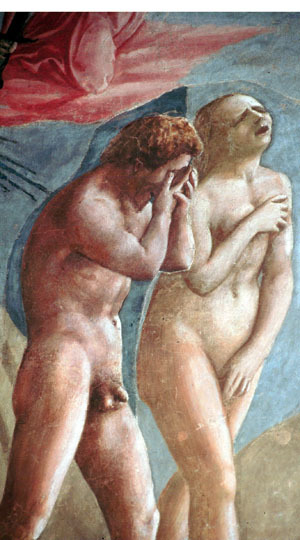 The most-fêted are those of Adam and Eve by Masaccio, which show grief etched on the faces of the errant pair as they are booted out of the Garden of Eden. Masaccio died tragically young at 27 in 1447 and never got to see the effect his innovative style had on painting – even Michelangelo visited the chapel to study his frescoes.